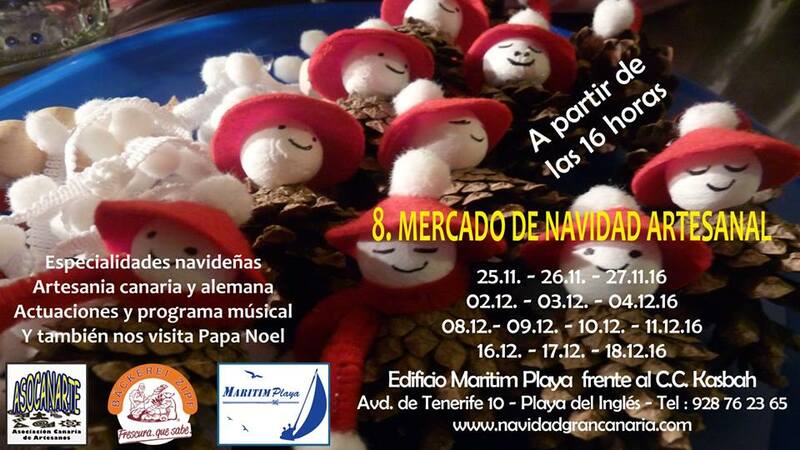 It’s the last weekend before Christmas and many events are happening around the island. Weather predictions suspect some more rain but since we are on Gran Canaria, only time will tell, and the south of the island is looking pretty dry compared to the north. 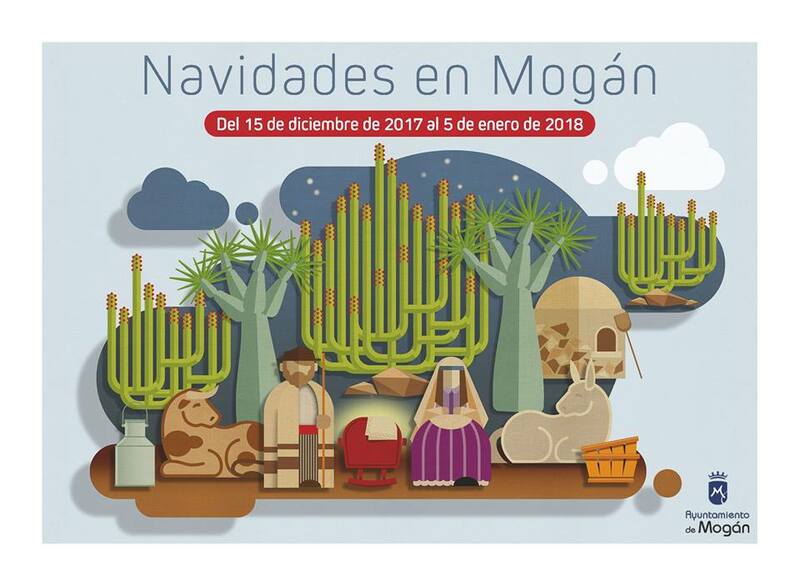 So it’s a happy weekend ahead with shops open throughout, a little bit of sport, concerts, markets, nativity scenes and with all the municipalities celebrating their Yule Time programs until 5 January. The municipality of Mogán begin their Christmas program on Friday. See the full program HERE. On Saturday; in Arguineguin from 12:00-19:00 the ‘Dinamiza Arguineguín’ event, to promote the open commercial zone with live music, children’s activities and a shop window contest. 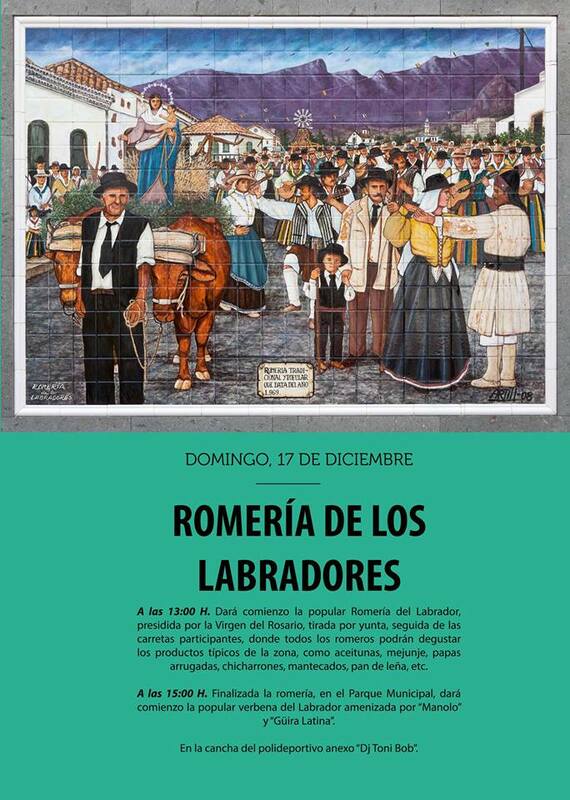 On Saturday; the Royal page visits the Mercado Central at 10:00. 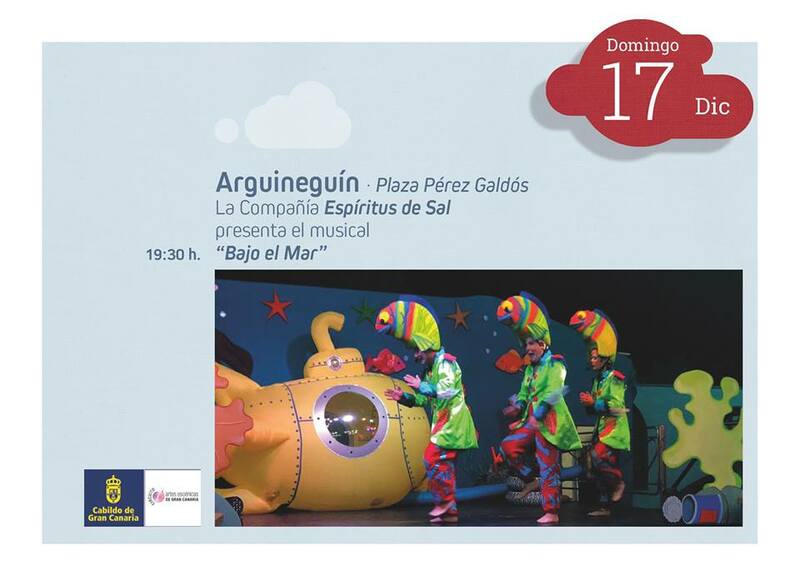 There is a Christmas fiesta for children in Parque Juan Pablo II starting at 11:00.
and at 20:30 Musical spectacle “Vegueta en Navidad” at Plaza de Santa Ana. 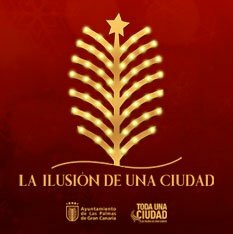 On Sunday; family Christmas theatre at Parque Doramas at 12:00 and Christmas carols concert at the same time in Calle Mesa y Lopez. 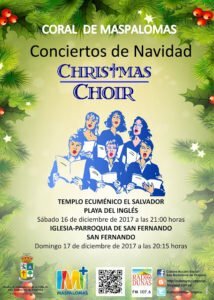 At 18:00 a Christmas carol concert at Calle Mayor de Triana. 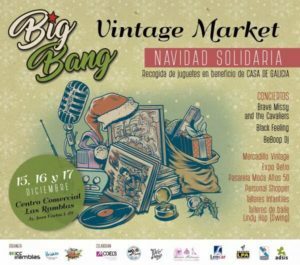 Vintage market and retro fashions and music at Shopping centre Las Ramblas in Las Palmas over the weekend. 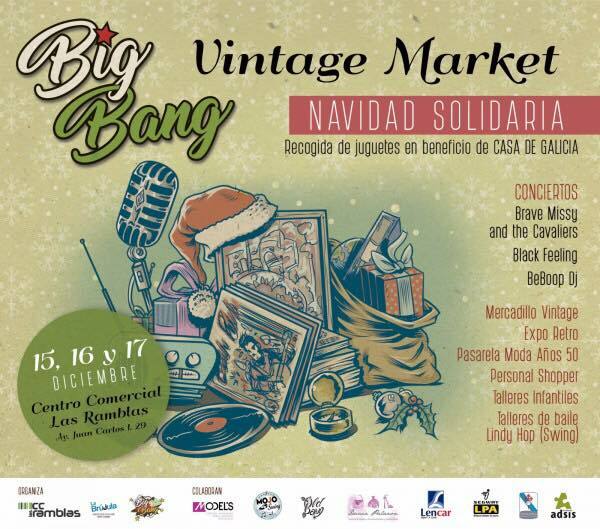 On Friday at 17:00 the inauguration of the vintage market and retro decoration expo with swing rock&roll style DJ sessions. At 18:30 fashion catwalk of 50’s style fashion and at 19:30 Rock&Roll and swing concert. 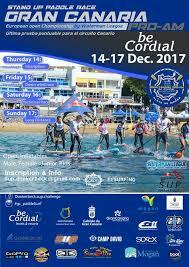 The third edition of the European Championship of Gran Canaria Pro-Am Be Cordial Stand Up Paddle Surf (SUP), which will be held in Playa de Mogán from December 14 to 17. 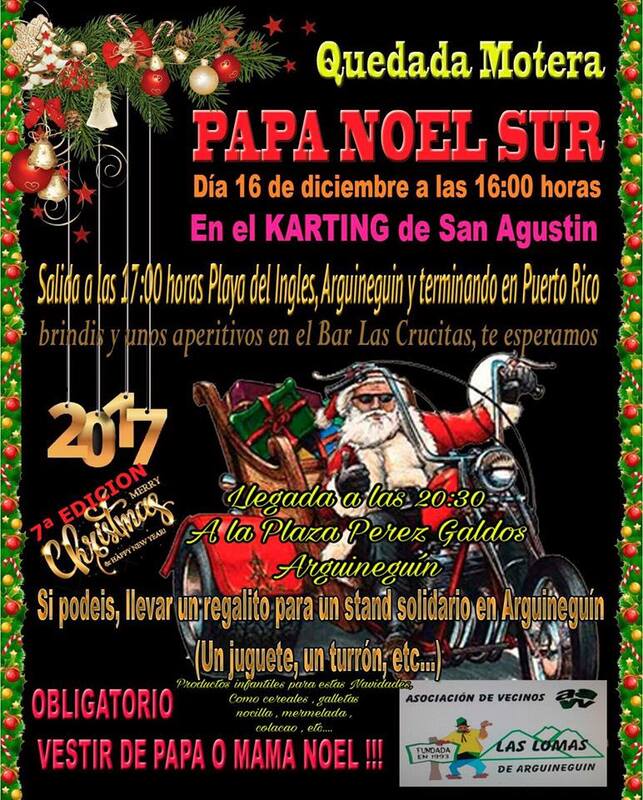 On Friday, Down Wind competition with all competitors to meet in Puerto de Mogán to board (09:45) and go to Arguineguín, where the departure of this fun event will take place at 11:11. About 15 km distance paddling against the wind along the coast of Mogán. On Sunday, the Long Distance. The main event where the European Champion of the APP will be crowned. The distance to complete will be 15km to 20 km (min. 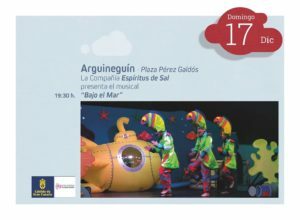 10km) along the coast of the municipality and with exit and finish at Playa de Mogán. On Friday; Christmas Act in Santa Lucía, Plaza de Santa Lucia, just next to the church, starting at 17:00 with workshops, music performances, letter collection for the three Kings and fireworks. On Saturday, the day includes the 3km Runner race at 10:30 and at 11:15 the family race and at 12:00 the prices. 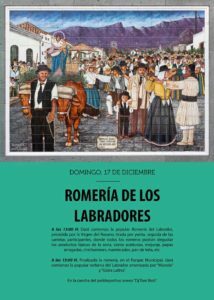 At 13:00 a conference of the Veterinarian college and 13:30 agility exhibition, followed at 15:00 by an exhibition and the day comes to an end at 18:00. 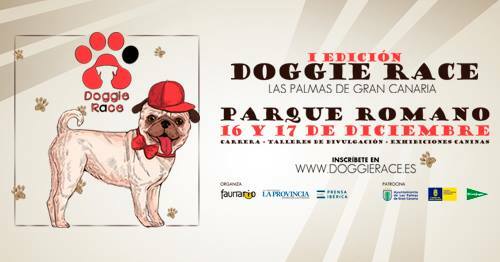 On Sunday at 10:30 an agility exhibition, at 11:30 exhibitors and at 14:00 the first edition comes to an end. 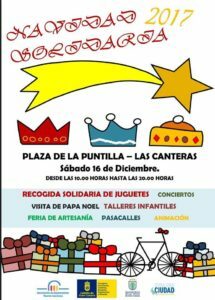 On Saturday the IV edition of Christmas Solidarity event by the Business Association of Puerto Canteras at the Plaza de la Puntilla from 10:00 to 20:00. Children’s activities, handicrafts fair, children’s workshops, solidarity collection of toys, concerts, a visit from Santa Claus, parades and the assistance of pages of the Three Wise Men. 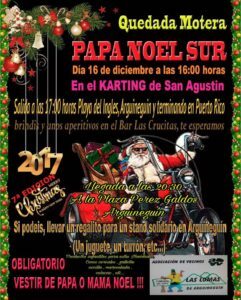 During the Day the II Barbers Solidarity Event Isleta Puerto also takes place led by Nacho De La Fe Professional Barber. haircuts in exchange for solidarity gifts of toys and food. It’s also the perfect opportunity to visit the Sand Nativity scene ! 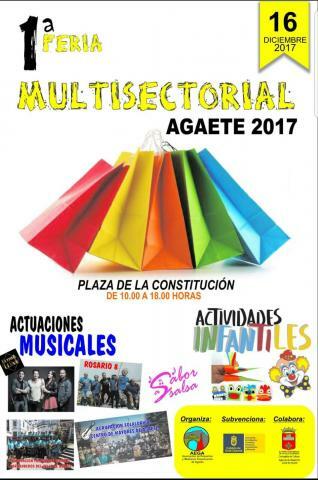 The First multisectorial fair of Agaete from 10:00-18:00 on Plaza de la Constitución with animation for the whole family and a concert by the popular local band “Última llave”. 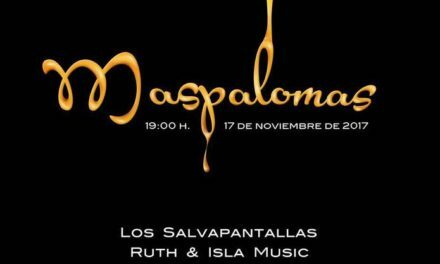 Combining a longstanding religious festival with popular sentiment and traditional island culture. 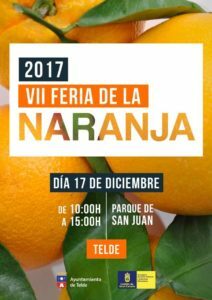 Santa Lucia de Tirajana celebrates their Patron Saint, Saint Lucy, every December. On Sunday At 12:00 the solemn Eucharist in the church, followed by the Traditional pilgrimage of the Virgin of the rosary, on a cart and pulled by a yoke of oxen. 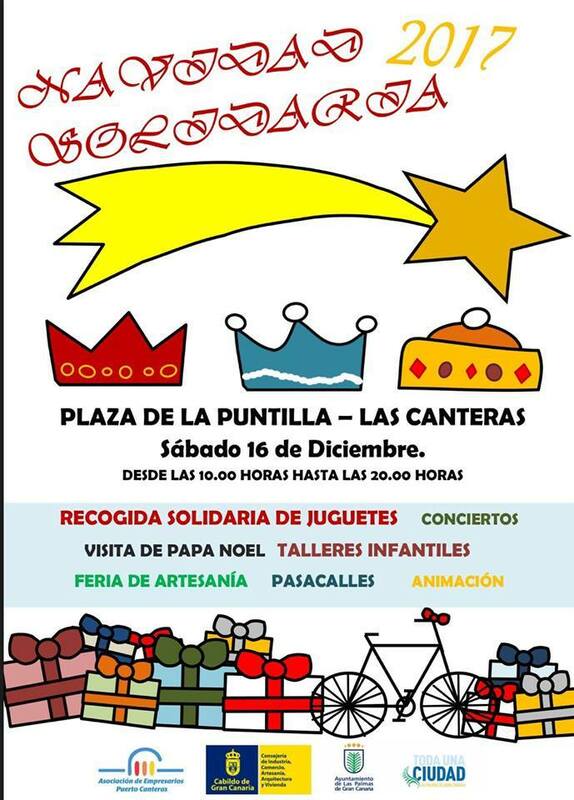 The route will end up in the municipal park around 15:00 where the festivities will continue. 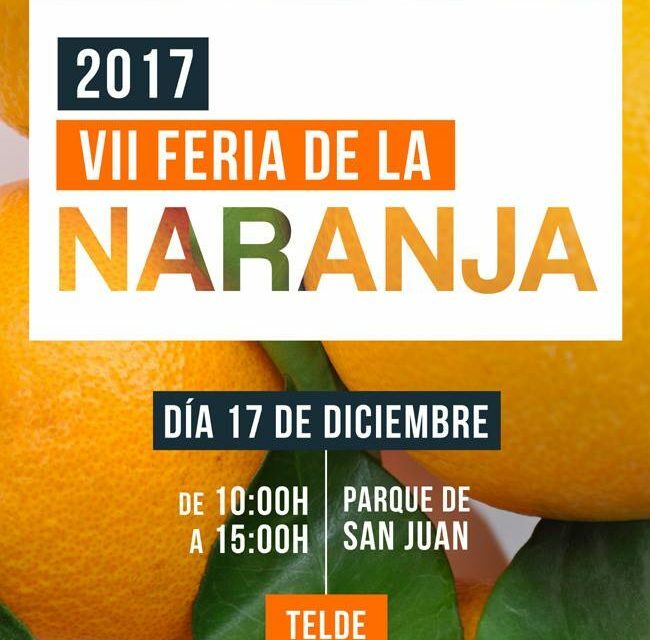 The seventh edition of the Telde Orange Fair will be held on Sunday, December 17 and will repeat for the second time at the same venue, the urban park of San Juan, where it moved last year. 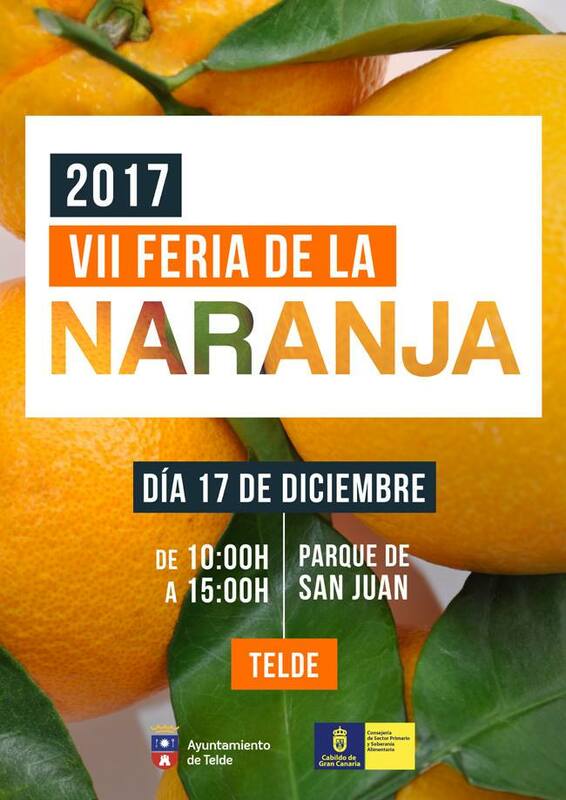 A chance to explore one of the oldest neighbourhoods in Telde and on the island, one of the islands two original pre-hispanic capitals, while trying some of the juiciest tastiest produce direct from the hands of the citrus farmers.